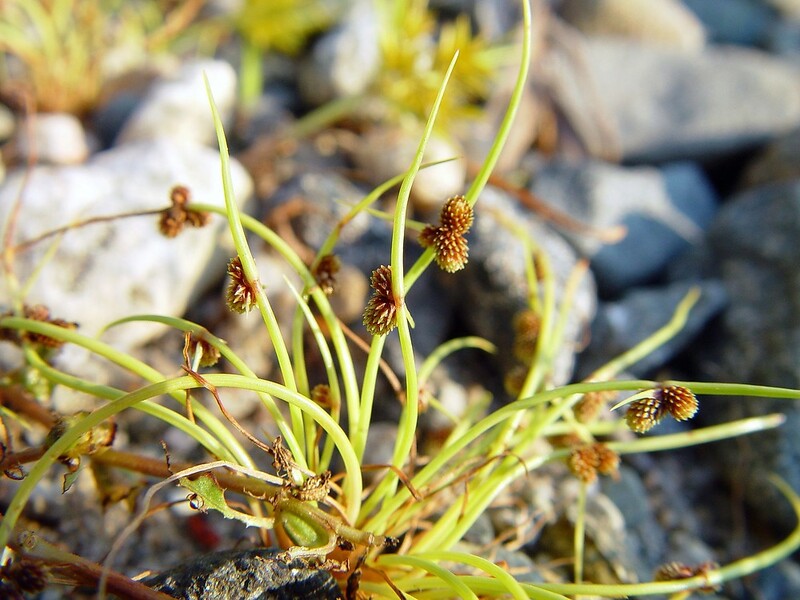 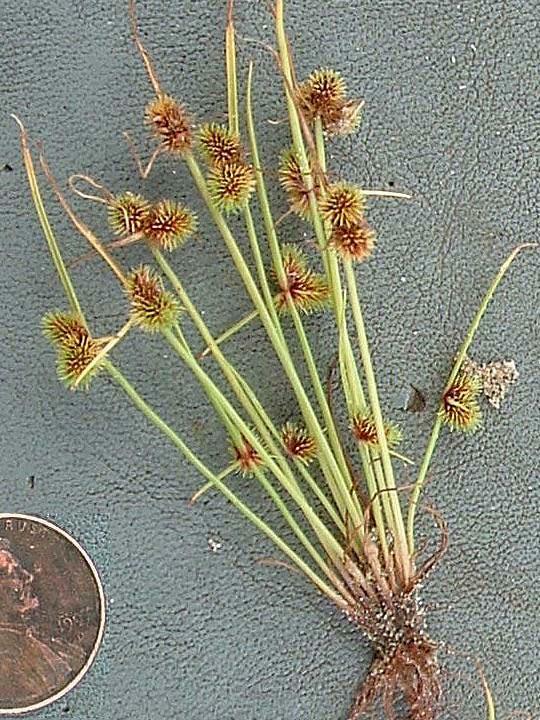 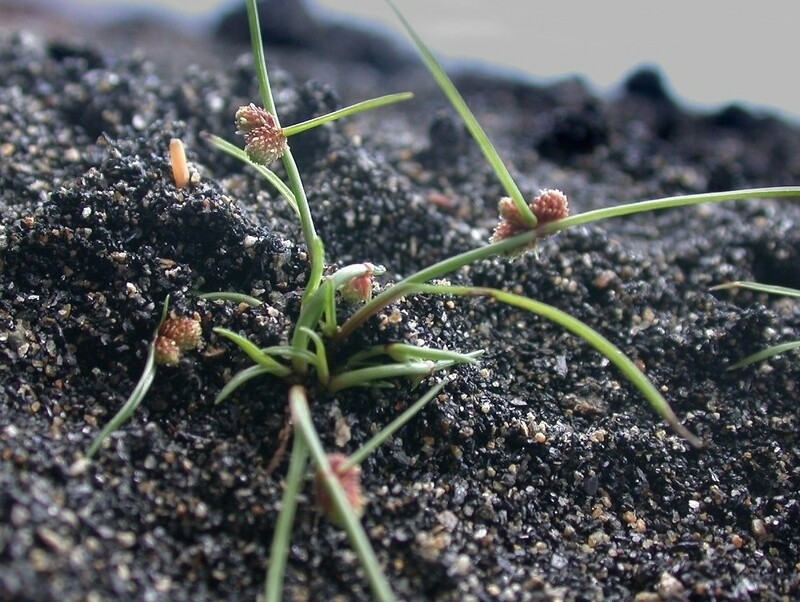 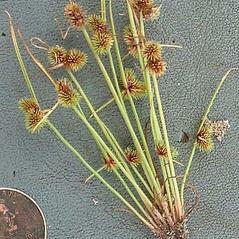 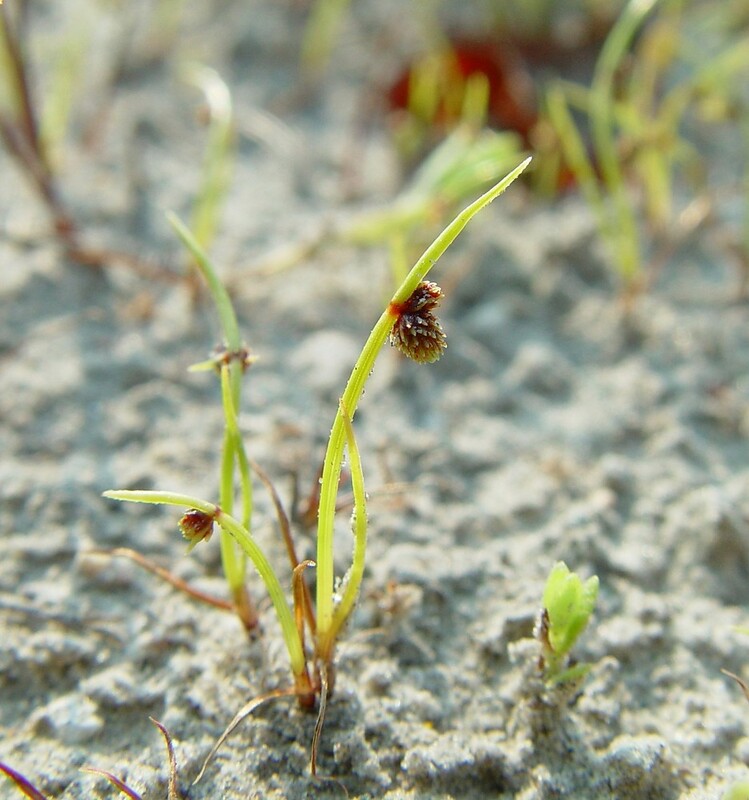 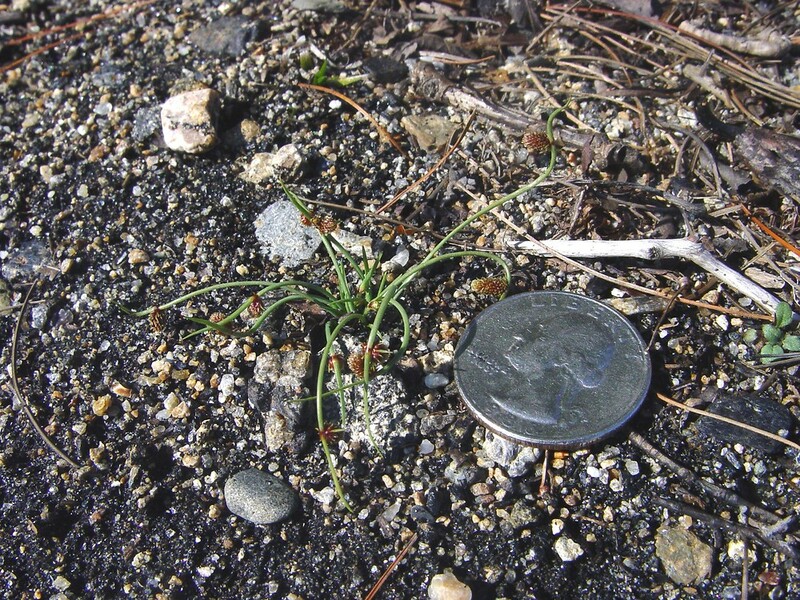 Small-flowered dwarf-bulrush inhabits sandy shores of lakes, ponds, and sometimes tidal rivers. 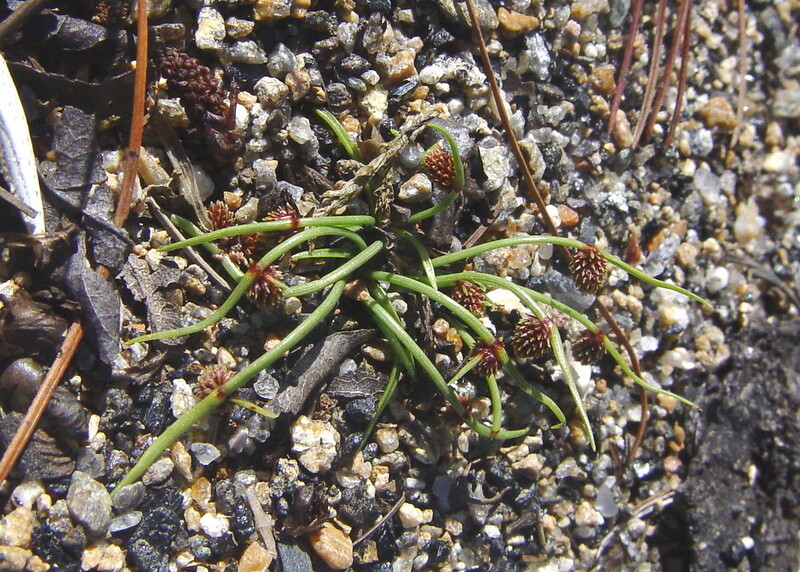 "Dwarf" and "small" are apt names for this tiny plant, which only grows to 6 inches (15 cm) tall at most, with thread-like, drooping leaves. 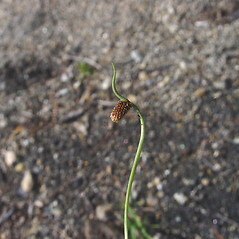 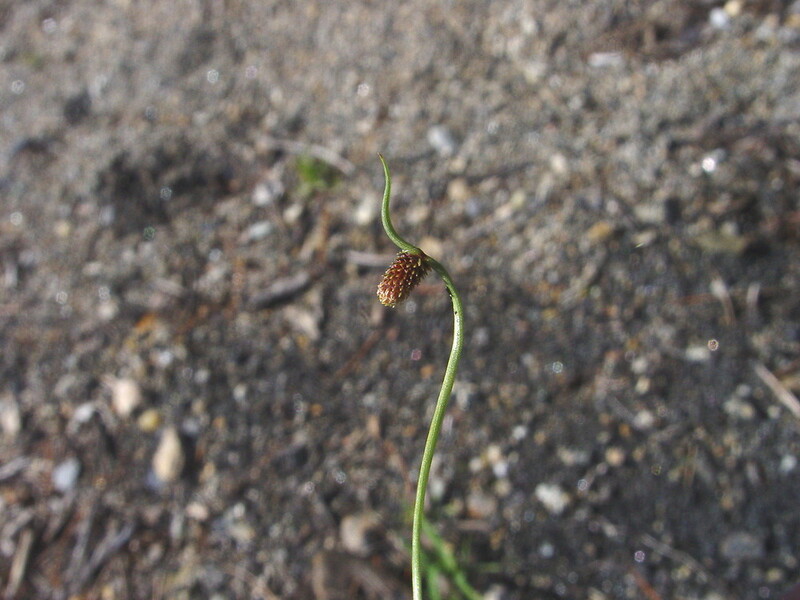 The fruiting head appears to emerge from the side of the stem because it is overtopped by a small bract. 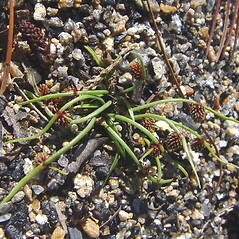 The species is regarded as very rare in all five of the New England states in which it occurs, as well as in many other states. 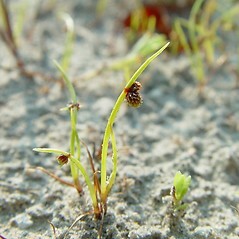 Its sandy shore habitat is threatened by recreation and trampling. 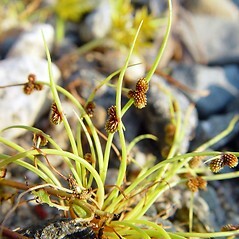 small-flowered dwarf-bulrush. 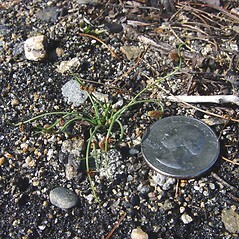 Hemicarpha micrantha (Vahl) Pax; Scirpus micranthus Vahl • CT, MA, ME, NH, RI. 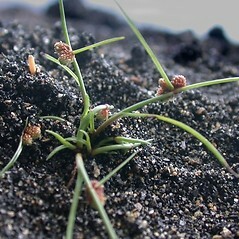 Sandy shorelines, usually of lakes and ponds, rarey on fresh-tidal river shores.